Comments: Phil Chew (Nee: ) | Stafford Wells MS United States | 1851-1900 | Comments: Surviving Confederate Veterans of the 22nd Mississippi Infantry met at Stafford Wells in Carroll County, Mississippi on June 23, 1899, for a reunion. The veterans are First row from the left, A.J. Duren, Phil Chew, Thomas Meriweather, Wash Cooley, C.J. 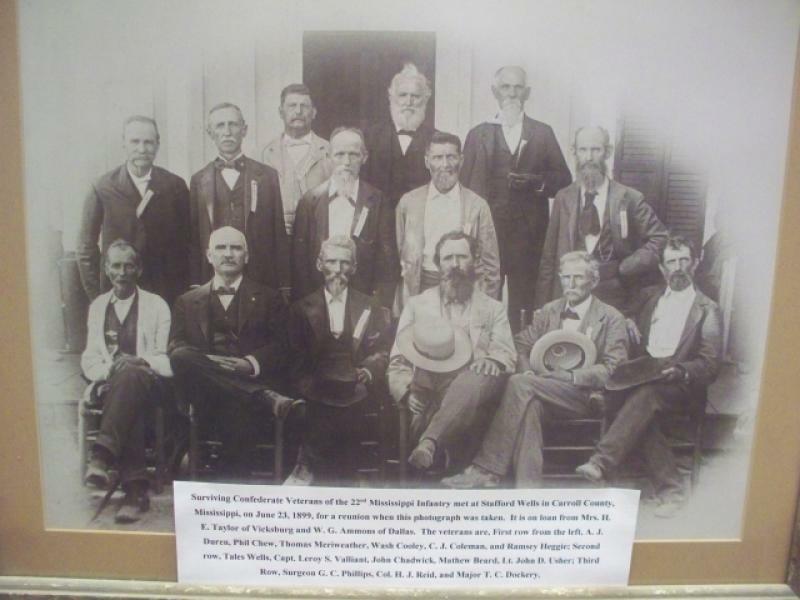 Coleman, and Ramsey Heggie; second row, Tales Wells, Capt. Leroy S. Valliant, John Chadwick, Mathew Beart, Lt. John D. Usher; third row, Surgeon G.C. Phillips, Col. H.J. Reid, and Major T.C. Dockery.